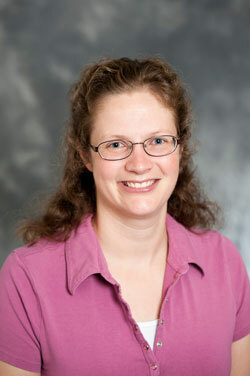 Krista McBride joined the Chemistry and Physics department in fall 2013. Previously, she taught at Nashville State Community College where she was department chair and advisor to the Science Student Association. Krista earned her Ph.D. degree in Biophysics from Vanderbilt University in Nashville, TN and B.A. degree in Physics from Florida Southern College in Lakeland, FL. Her doctoral research focused on using SQUID magnetometry to analyze the magnetic fields of the cardiac apex, as well as magnetostratigraphy of marine ferromanganese crust. Krista is married, has 2 children, and enjoys soccer, computer gaming, gardening and crafts. Mcbride, Krista K. “Linking Science Fiction and Physics Courses.” The Physics Teacher, 2016, 54, 280-284.